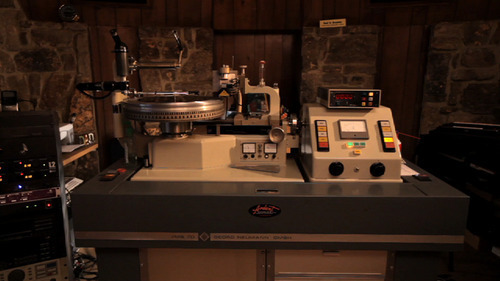 This is the vinyl lathe at Ardent Studios in Memphis. The Omnivore reissue of THIRD/Sister Lovers was mastered on this machine as were the original Big Star records in the 1970’s. Ardent is one of the few studios that masters their own vinyl reference disks. It was purchased from STAX Records in the heyday and came with their technician, Larry Nix. How cool is that? I don't even think I've seen a vinyl lathe before. Nothing Can Hurt Me was featured as a work-in-progress at SXSW this year; We'll make sure to track its progress and keep you updated.